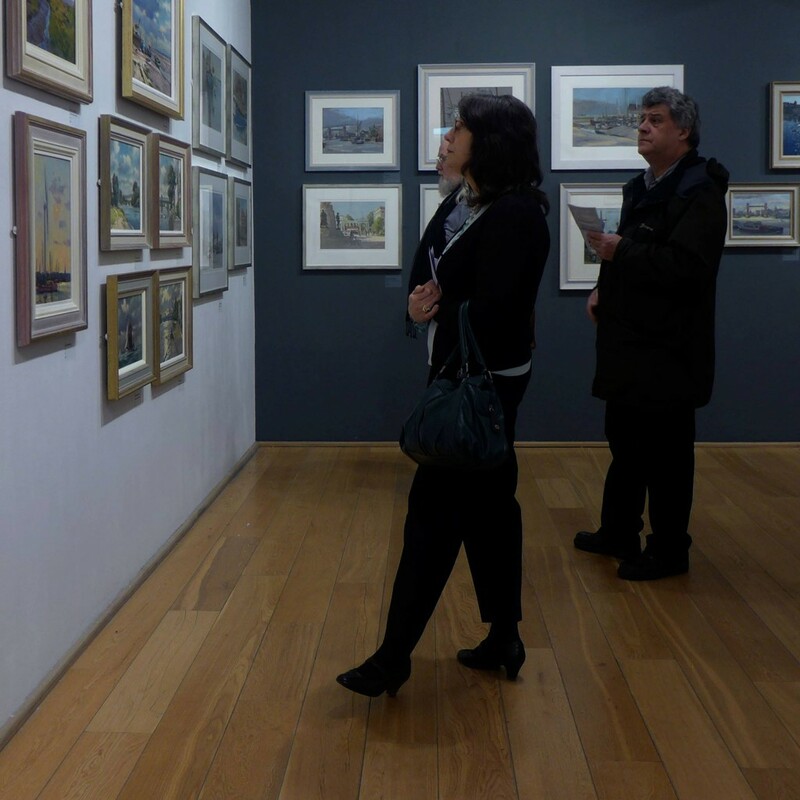 The 69th Annual Exhibition of paintings by the Wapping Group, which closed last Saturday, has been very successful indeed. The Private View on Sunday February 15th was extremely busy and at the end of just that first afternoon 21 paintings had been sold. In each of the six days that followed there were between 200 and 300 visitors to the North Gallery, and the show finished with the sale of 39 paintings and 3 original prints (by John Bryce). The group have been exhibiting at the Mall Galleries since 2005 and have always sold a good number of paintings but this is a record. The fine selection of around a thousand greetings cards that were on offer were also eagerly snapped up, and virtually sold out. All in all, a wonderful response to a show that the group members and fellow painters felt had reached a new standard for its range of subject matter and for the artistic skill shown in watercolour, oils and pastels. If you missed the show this time please add your name to the mailing list for future exhibitions. Some early visitors to the Private View, which was shortly afterwards very busy indeed.